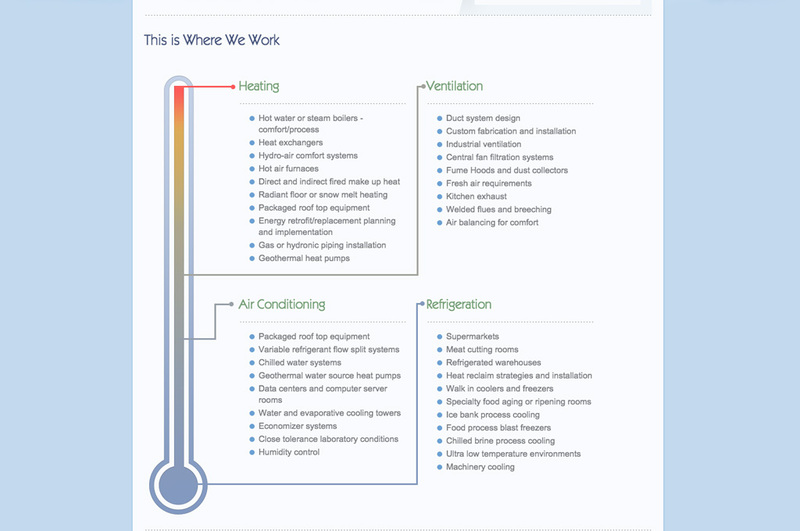 Coldmasters Temperature Control Inc. is a full service commercial and industrial HVAC and Refrigeration Company established in 1976. To achieve its growth and profitability objectives in a highly competitive marketplace, the company needed a high-performing interactive web site and online marketing program that would maximize its ability to prospect, expand its territory, and engage with customers 24X7. Most importantly, it needed an exciting Internet marketing agency as a partner to be able to bring the program to life and continuously succeed as things change. 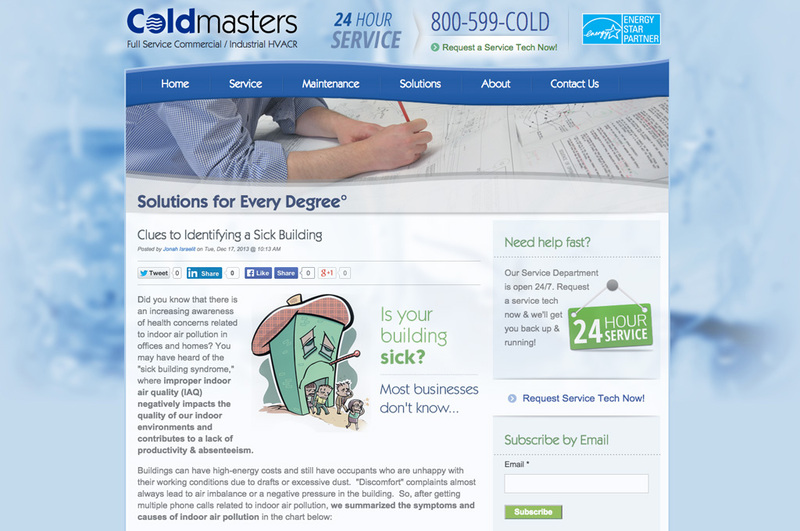 Xzito worked with Coldmasters to define their goals and objectives. Then, we delivered a site architecture, proper screen layouts, and design interfaces that would meet their business and customer objectives. 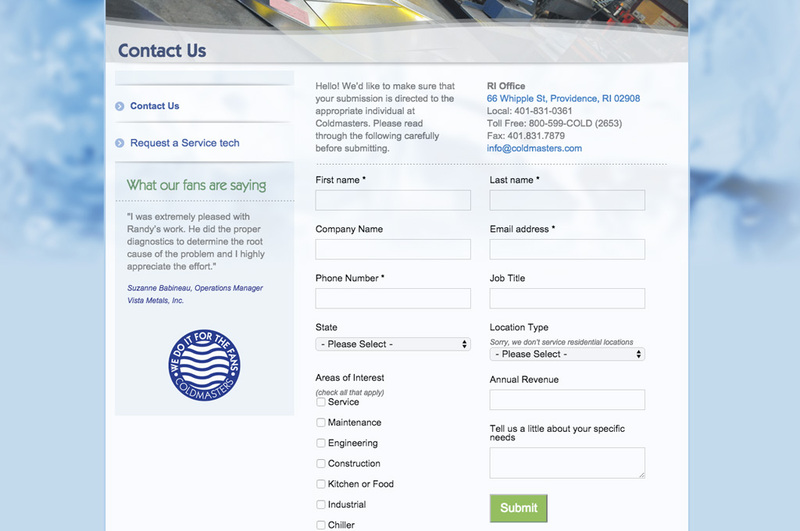 Xzito also developed several interactive modules to support with contact (customer/prospect) engagement, including Newsletter, "Solutions For Every Degree Blog", Social Media Profiles, and Request Service Tech Application with Automatic Credit Authorization. 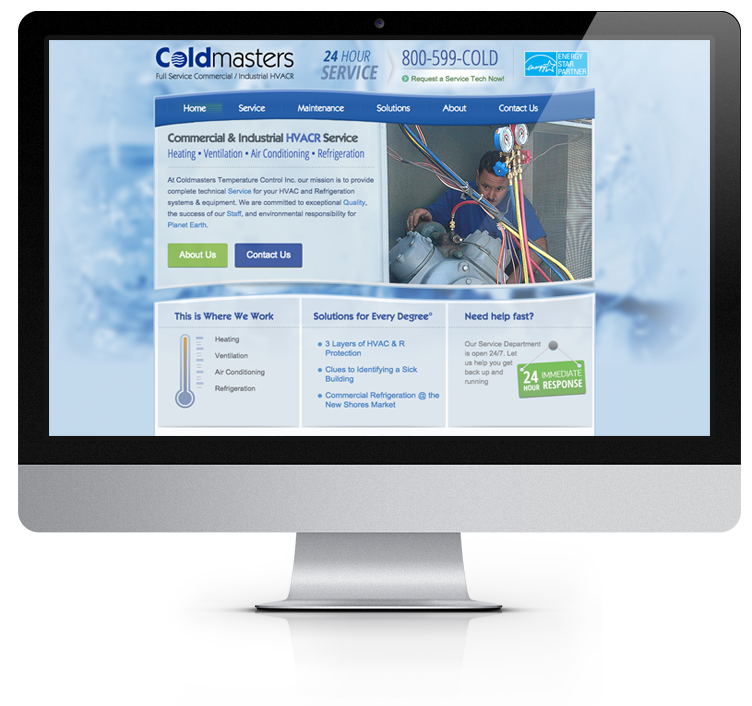 Xzito also installed an analytical system to allow Coldmasters to monitor Web ROI, including incoming traffic, lead, and customer conversion and engagement levels. 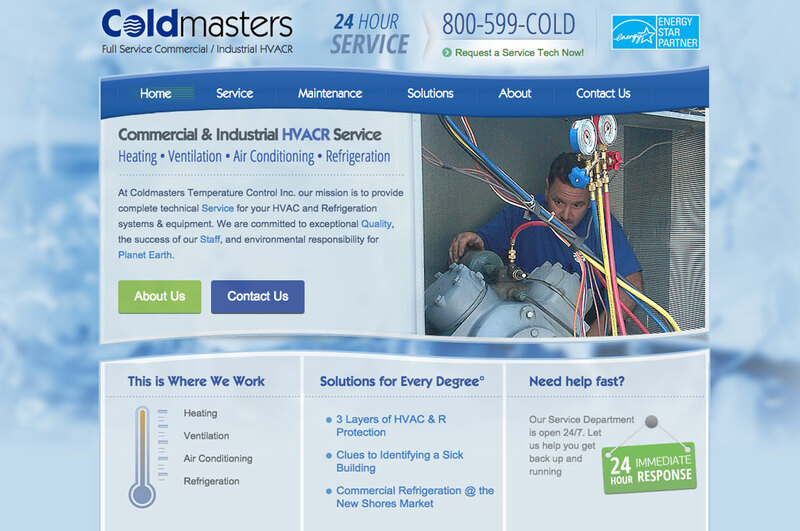 Martin Israelit - Founder of Coldmasters Temperature Control, Inc.